The term you hear from real estate agents is location, location, location. They usually advise clients to locate businesses on busy intersections or key parts of the city. This advice can break your business if you follow this logic in the age of smart phones and Google Searches. In the early days of search Google based there results on how close the business was to the center of the city. In SEO terms this is called the centroid. 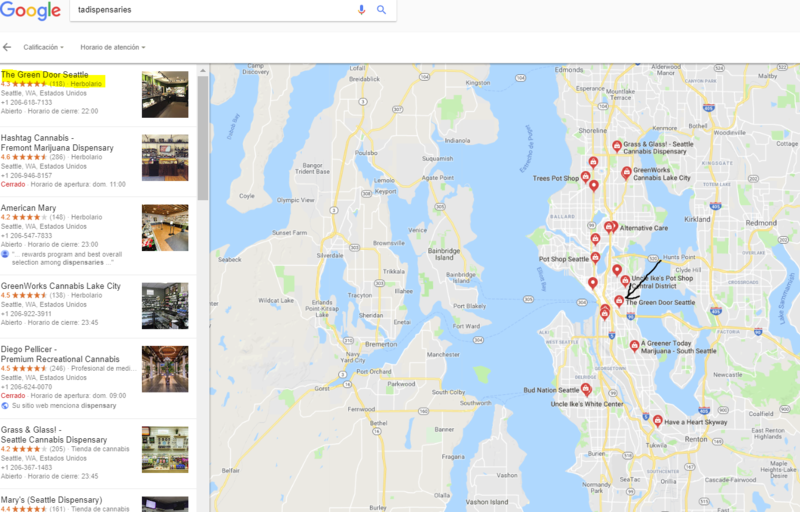 In other words, Google’s perception of a centralized location for auto dealerships could be completely different than that for medical practices, and that neither might be located anywhere near the city center. In the old Search days the closer a business is to that area the higher they would show up on Google Search. However, we know know this has changed and the centroid of center of the city is determined by SIMILAR Businesses in your industry. 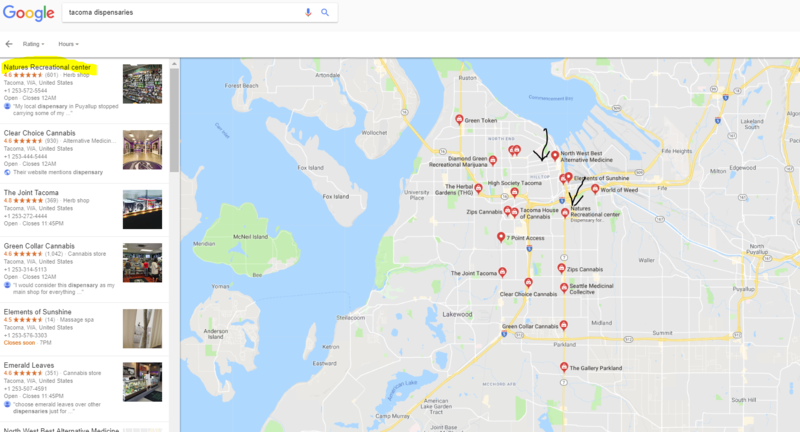 Now lets look back at the map when we Google Seattle Dispensaries. Now I am doing this Google Search from another state this will be an important factor to remember in the next section of this white paper. In the graphic above our theory is working perfectly as it shows the business Green Door as the number 1 returned search. But as the Moz article mentioned if all the businesses were clustered in a different part of the city the Centroid would change. 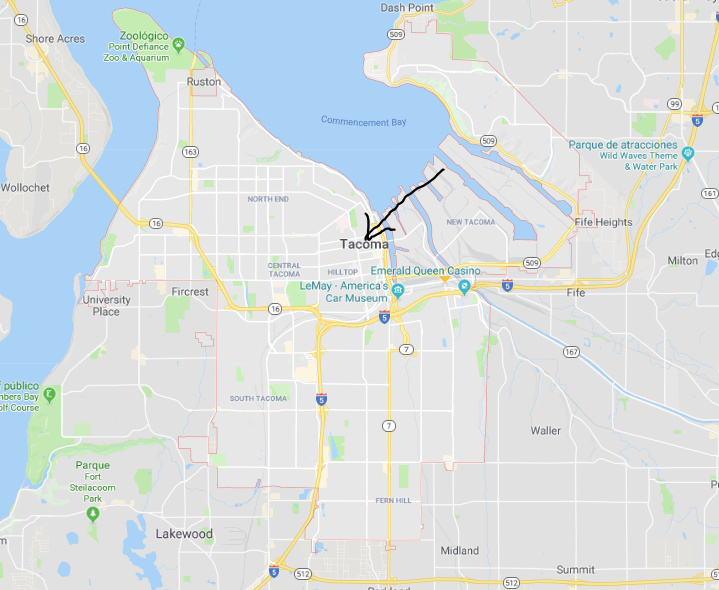 The sister city of Seattle is Tacoma lets look at at a similar map view and dispensary search. 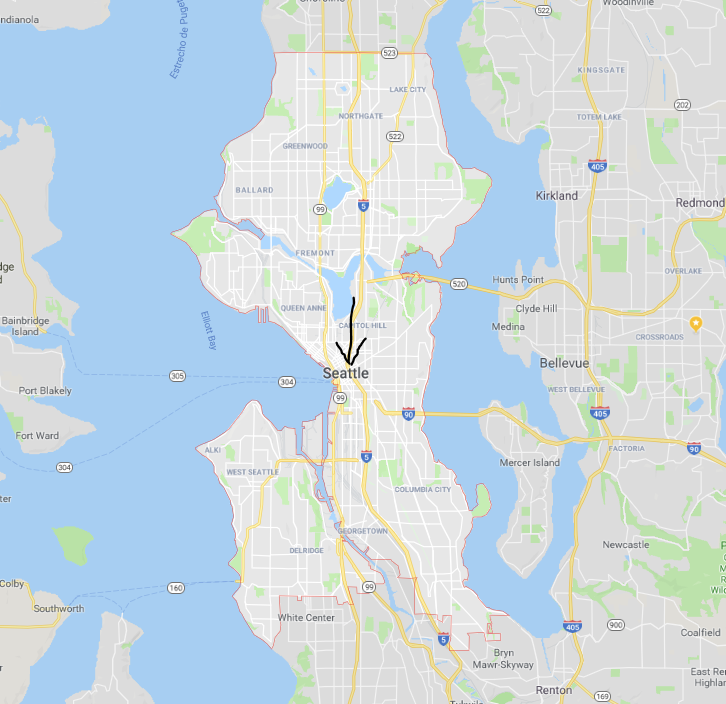 You can usually tell by where Google puts the name of the city on the map as how it defines the center of the city. If you were to go by Googles own patent that we read above this would make sense since it looks like the cluster of recreational marijuana dispensaries have shifted West and South making Natures Resource Center closer to the industry centroid than North west Best Alternative Medicine which is closer to the city centroid. There over 20 dispensaries in Tacoma but this business shows up number 21 dispensaries in Tacoma yet this business with only a Domain Authority of 13 is showing number 1. The more powerful a website the higher the Domain Authority will be. For example, sites like Facebook, Google and Microsoft have a domain authority of 100. New websites have domain authorities of 2 or 1. Most local business websites sit in the domain range of 7 to 40. The more links you have pointing to your site the higher the domain authority. 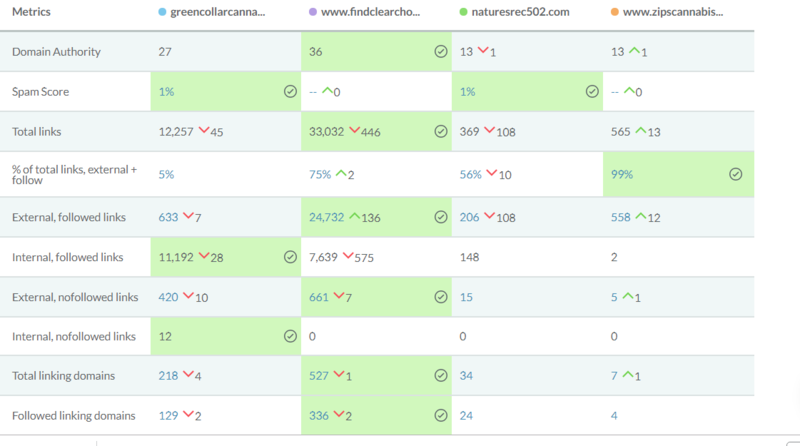 Natures Resource center only has 369 links pointing to it yet IT IS STILL OUTRANKING SITES with thousands of more link. Why? Because according to Googles own patent the centroid is based on the central hub of that cities business category. NextNext post:Local Business Disappearing On Google Maps when Plurals Used.